USDJPY is under the influence of some economic reports such as 30-y Bond Auction, Core Machinery Orders m/m and Bank Lending y/y data in Japan and Federal Budget Balance, 30-y Bond Auction and Import Prices m/m in the US. The support rests at 109.240 with resistance at 109.730 which both lines are below the weekly pivot point at 110.900. 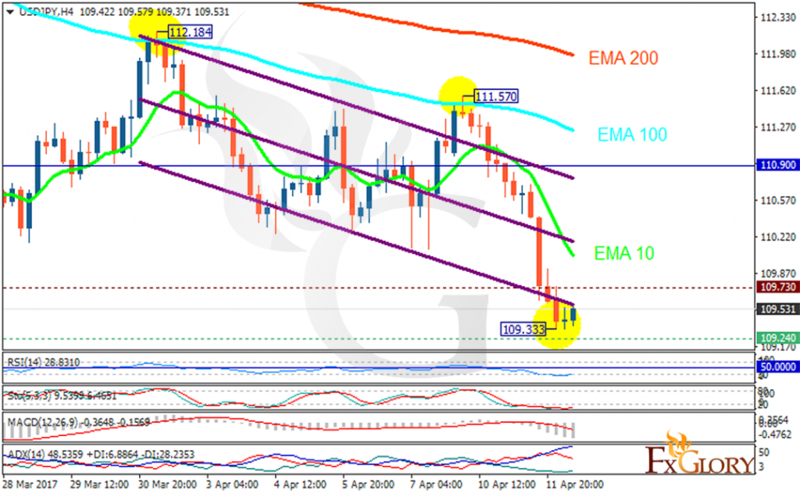 The EMA of 10 is moving with bearish bias and it is below the EMA of 200 and the EMA of 100. The RSI is rising towards the 50 level, the Stochastic is moving in low ranges and the MACD indicator is in negative territory. The ADX is showing sell signals. USDJPY has already created its bullish candle targeting 112.